I picked this book up about 5 years ago and could never really get past the first 70 pages or so. 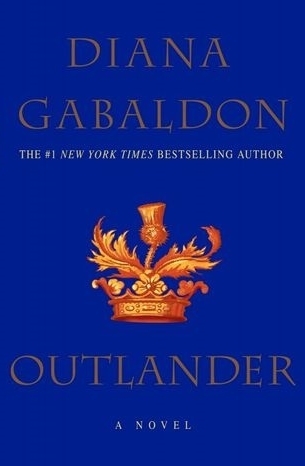 It seemed dull and boring, but after seeing that Starz picked up the rights to the books and intended to make it into a show (premiering on August 9th), I knew I had to finish the book out in all of its 800+ page glory. Since this is primarily a YA blog, I don't normally make a habit of reviewing adult books -only those that either really speak to me or those that are extremely popular, but this one couldn't be helped. I have so many emotions concerning this book and not all of them agree.